Detailing the physical features, habits, territorial reach and other identifying qualities of the The Hebrew Moth. 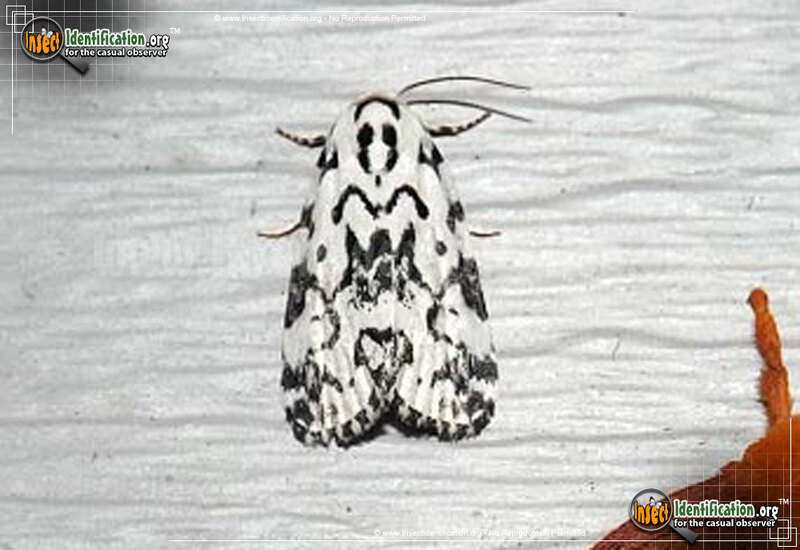 The white Hebrew Moth is covered with black markings, the shape of which somewhat resemble characters in Hebrew script. 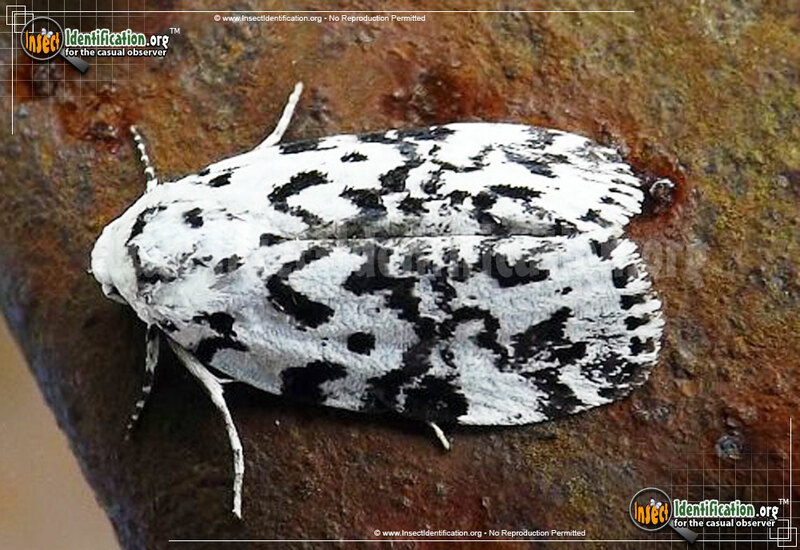 The forewings of the Hebrew Moth are covered in a pattern of black lines that form various shapes. A black distal dot marks the center of each wing. When spread open and revealed, the hindwings are a taupe color and lack markings of any kind; instead they have a downy or feathery appearance with an ivory fringe. 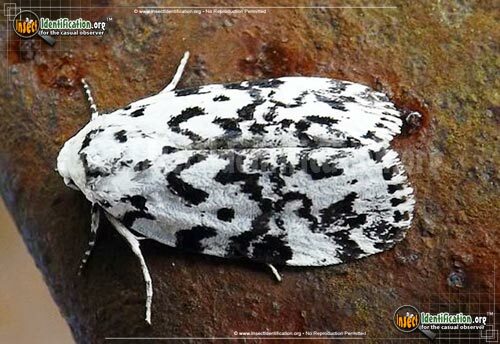 The upper part of the white abdomen is punctuated with a black dot and two angled black lines forming the shape of what looks like a pendant necklace. Caterpillars are a lavender color with raised yellowish bumps sprouting thin hairs at each segment. Darker violet spots are speckled on and between each segment. They eat the leaves on blackgum trees, a native tree that is favored by wildlife.